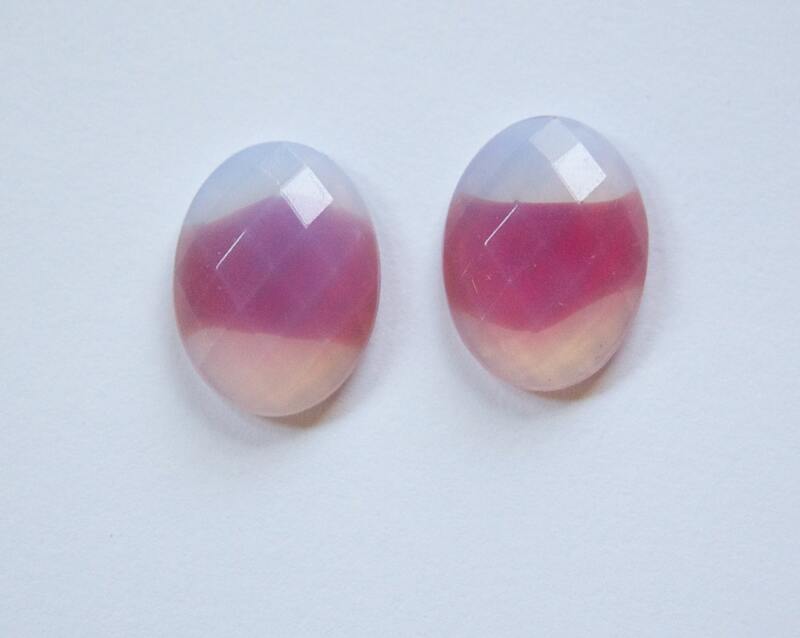 These are vintage glass givre cabochons. They are faceted and oval shaped with a flat back. They have a band of red through the center. These were made in Germany. They measure 18mm x 13mm. You will receive 2 of these. Items received. Excellent items and transaction.Pleasure doing business.Many thanks! Nice item! Thanks so much! !